Here are some photos of Nicki Minaj attending the 26th annual Australian Recording Industry Association Music Awards at the Sydney Entertainment Centre in Sydney, Australia yesterday (November 29th). The Young Money Barbie was not nominated for any awards at the show, but she did present Australian hip-hop group Hilltop Hoods with the “Best Urban Album” award for their Drinking From The Sun album. You can view more photos of Nicki, who is currently in Australia for her “Pink Friday Reloaded” tour, after the jump below! Above, you can watch some footage of Tyga shopping at the Culture Kings store in Sydney, Australia. If you are wondering why T-Raww is in the Land Down Under, that is because he is currently touring the country with his Young Money label-mate Nicki Minaj on her “Pink Friday Reloaded” tour. Nicki Minaj made an appearance on the Australian breakfast television show, Sunrise, yesterday for a one on one interview with Edwina Bartholomew. They spoke about Nicki‘s “Pink Friday” fragrance, her “Pink Friday Reloaded” tour in the Land Down Under, her booty, fashion, and her song lyrics. You can watch Nicki‘s interview on Sunrise in the video above. In related Minaj news, some footage of her recent interview with DJ Prostyle for Power 105.1 FM has surfaced online. The Young Money Barbie talked about her “Freedom” music video, what her favorite reggae song is right now, and more. You can watch a clip of their interview after the jump below! Ht the jump to grab the download link and view the full tracklist for T-Raww‘s latest mixtape. 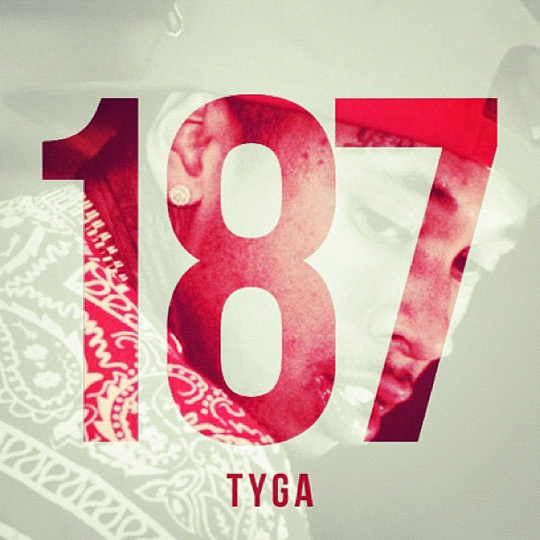 The next record we can be looking forward to from Tygaman is his “187” single featuring Rick Ross! Jacob Latimore just dropped his new mixtape, This Is Me, and on the tape was a song featuring Lil Twist. The track, which was produced by N.S.C., is called “Bet It“. You can stream/download “Bet It” after the jump below and download Jacob‘s full mixtape here! I posted part 1 of Nicki Minaj‘s interview with Fuse last week, now here is part 2! In the video above, Nicki sits down with Matte Babel to discuss her past, if there is anyone left in the music industry that she wants to work with, her favorite music video she has shot in her career, and what her plans are for her upcoming third studio album. After the jump, the Young Money Barbie speaks on faith and a previous 9 to 5 job which she had when she was younger where she worked for customer service at a telephone company. Earlier today, Nicki Minaj visited the Myer store in Sydney, Australia to launch her “Pink Friday” fragrance. In the video above, Nicki can be seen getting interviewed about her perfume, as well as her barbz going crazy! You can also view a few photos of the Young Money Barbie at the event after the jump below, courtesy of Rap-Up.